iOS 12 is here, so let’s talk about our favorite features. The first wave of iPhone XS reviews are out. 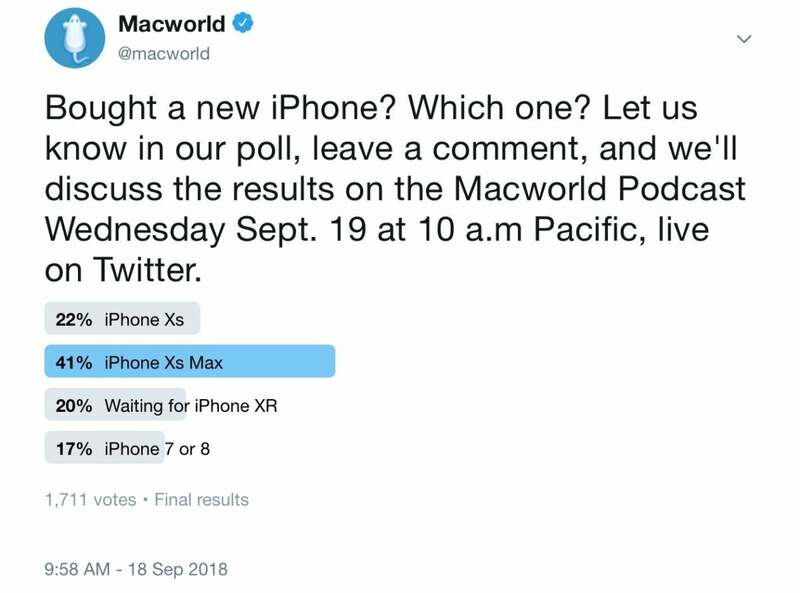 We also respond to your comments and questions for Jason Cross, Leif Johnson, Roman Loyola, and Dan Masaoka in the Macworld Podcast, episode 622. Bought a new iPhone? Which one? Here are the results of our Twitter poll. Here are links to related stories on the topics we discussed on the show.